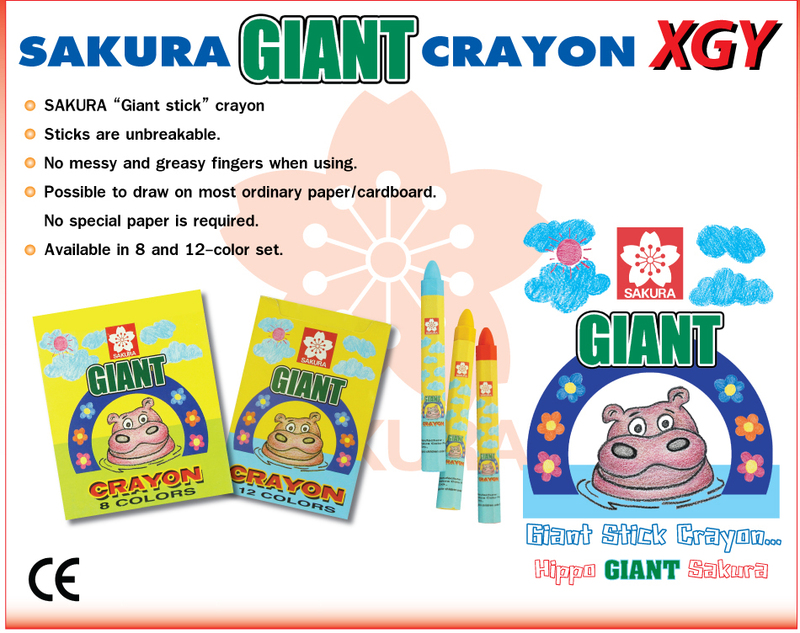 These large size crayons from Sakura have a special formula that makes them strong, heat resistant and safe for children. they come in bright, colorful, light-weighted yet solid, therefore, does not crack easily. The hexagonal stick is specially designed to fit smaller hands and to reduce risk of rolling from the table. 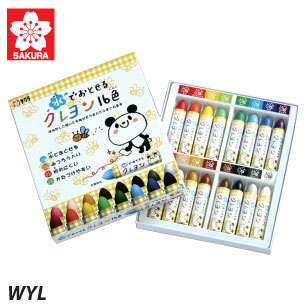 Avaiable in 8 and 12 vivid colors set. Conforms to CE and AP standards.